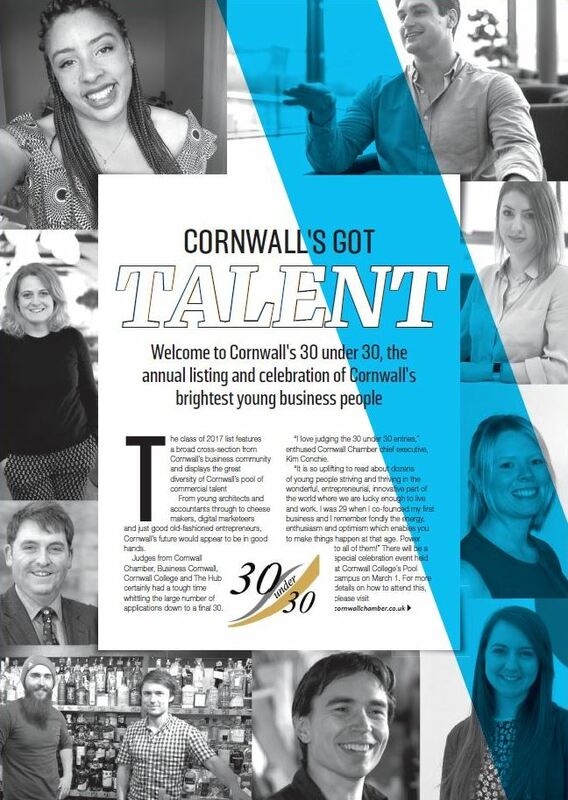 The search is now on for Cornwall’s 30 under 30 Class of 2018. Cornwall Chamber of Commerce, sponsored by Cornwall College Business and in partnership with networking group The Hub and Business Cornwall magazine, has opened nominations to find the 30 most innovative entrepreneurs and colleagues aged under 30 who are making waves in Cornwall. To be eligible for the award, 30 under 30 entrants must be either employees or self-employed, working in Cornwall and under 30 years of age by the nomination deadline date of November 30, 2018. Nominations can come from businesses, colleges and the third sector. The judges are looking for nominations that reflect the diversity of the business landscape and the positive contribution that these passionate and talented people are adding to the County. The 30 winners will appear in a special feature within the February 2019 edition of Business Cornwall magazine, celebrating the Class of 2018 and the awards evening will be held during the month. Cornwall Chamber chief executive, Kim Conchie, said: “We want to highlight the great innovative and entrepreneurial spirit of Cornwall’s young people. To find out more about 30 under 30 visit the website: www.cornwall30under30.co.uk and spread the word using #cornwall30under30.